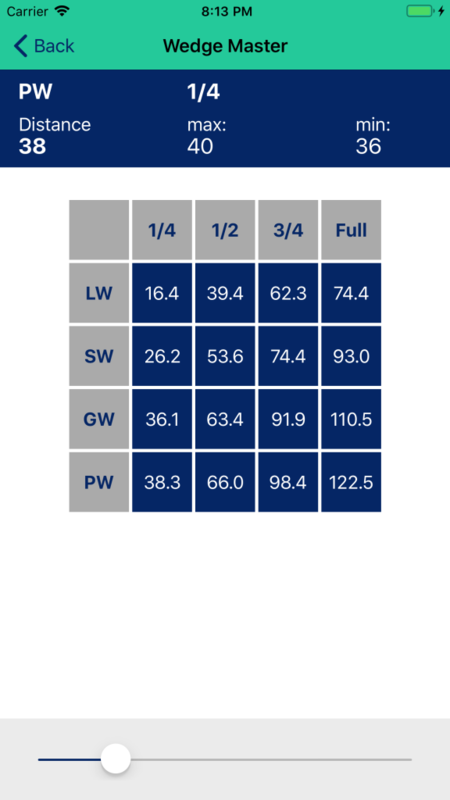 We have implemented a new feature in Golfer's Distance which is called Wedge Master. From now on you can record 1/4, 1/2, 3/4 and full swings for your wedges. From you recorded data the software generates a so called wedge matrix - a great help when looking for the right pitch around the green. Golfer's Distance helps you to record and analyze the distance and deviation for all your clubs in the bag. The app also supports you in the club selection process on the golf course. We are highly interested to receive your comments. Please use the template of the app's product-page for this purpose.